When you are spending time outside with the kids during the summer months, it is often a habit to pull out the bottle of sunscreen. As you are lathering up your skin to avoid UV exposure, don’t overlook the need to protect your eyes from the UV rays as well. Tinted lenses are a great way to keep your eyes protected, but you need to be consistent about putting on your sunglasses when you step outside. The biggest problem that people encounter is the need to take off their regular glasses and switch them out for sunglasses. If you regularly wear prescription lenses, then consider ordering prescription sunglasses so that you can protect your eyes and see clearly at the same time. 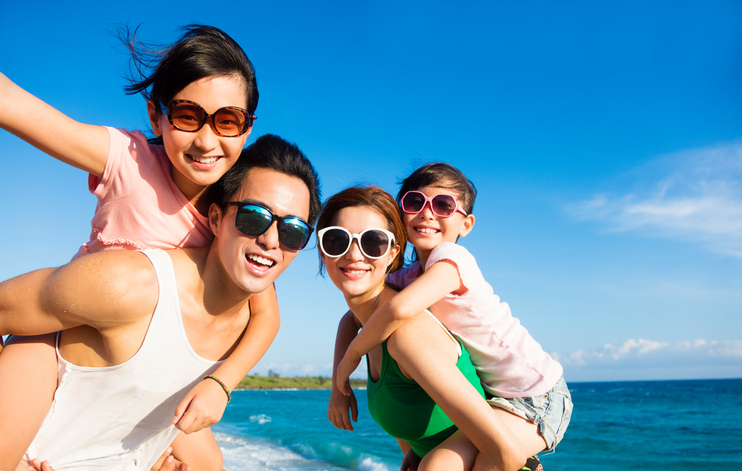 Over-exposure to the sun can cause damage to the lens and cornea of your eye. These UV rays can increase the risk of certain vision diseases, including macular degeneration and cataracts. So, you should take a proactive approach to wearing prescription lenses to avoid these eye problems. Another reason that some people skip the sunglasses is that they are worried about managing the glasses while participating in outdoor activities. If you are hanging out by the swimming pool for the day, then it isn’t a big deal to wear your regular sunglasses. But, other activities such as running on the field or enjoying a pick-up game of basketball could cause the glasses to get in the way of your performance. Regular sunglasses could slip off your face and cause injury. Instead, choose sunglasses that are designed for sports. These glasses integrate function and safety, helping to shield your eyes from the sun and prevent injury if the ball hits your face. Is it time to make the investment in a high-quality pair of sunglasses? Talk to our team to learn more about the options that are available. Our goal is to help you find the glasses that best fit your lifestyle and design preferences. You are always invited to visit our Temecula office at (951) 302-1331 or our Murrieta office at (951) 600-9226.